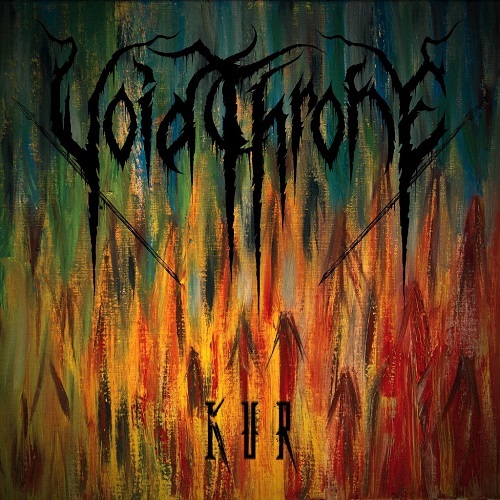 After releasing Spiritual War Tactics, Voidthrone added new members to their ranks and immediately began working on new music that would evolve and grow over time into the intricate and ambitious work of bleak extremity that is Kur. Musically, Kur is difficult to dissect in simple terms. 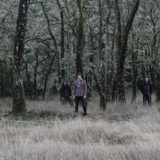 The album’s four tracks carve an amorphous path in many directions. 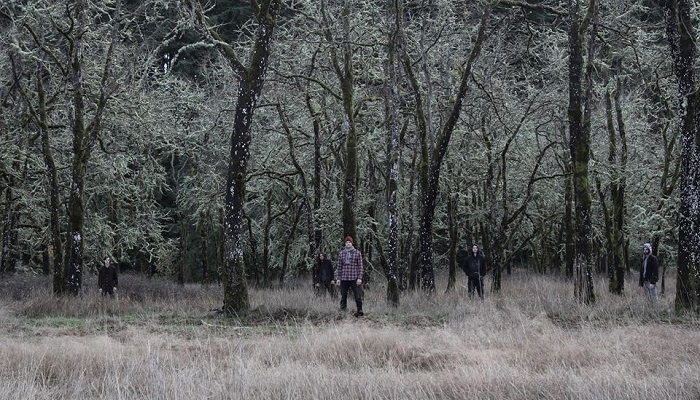 They draw from a wide palette of influences that include Deathspell Omega, Gorguts, Morbid Angel, Hypocrisy, Gojira, Naglfar, Triptykon, Batushka, Imperial Triumphant, Gorgoroth, Zhrine, Nails, The Black Dahlia Murder, Oranssi Pazuzu, and Ruins Of Beverast. “Musically, Kur builds on Voidthrone’s previous release. It contrasts established, repeated central riffs and textures with the drawn-out onslaught of sounds unfamiliar to the listener. It is with this approach that we strive to master a very certain art: that of the journey from beginning to end, from substance to emptiness. This requires embracing the emotional lows equally well as the highs. We write what feels natural to channel, but unnatural in relation to mainstream extreme metal. Our goal is to create unique and dissonant music that retains traditional elements of our genre without a pretentious air. Lyrically, the album is an exploration of isolation and desolation. The songs touch on utter psychological collapse; an untethering from the reality, society, self. Kur begins from the perspective of an everyman, focused on some MacGuffin of enlightenment- religious, personal, scientific, universal, etc. As with any monkey paw story, there is a perverse result- obsession, madness, and unholy subterfuge. The concrete narrative quickly melts away into expressionistic confusion and chaos. The meaning and music assimilate and fully delve into tones of frantic terror and seething psychological sickness. By the end of Kur, it is our intent to leave both listener and performer drained. Within this receptive exhaustion, we leave a spark- a seed of discontent that rejects normality. A hunger engendered for the other side of the veil. Beyond which- an absolute darkness, filled with Lions and Tigers and Bears. Oh my! Stay tuned for more Voidthrone news, early singles, pre-orders, and reviewers promo send out in the coming weeks.